An interactive game show where three storytellers tell two true stories and one fake story and the audience votes to determine the liar. On Sunday, March 24th, The Liars’ Game comes to the Vortex Theatre for its First Sunday series, celebrating the first weekend of a new production. In this case, the show is Sleuth, the winner or the 1971 Tony® for Best Play and Drama Critics Circle Awards for Outstanding Performance. It also received the Mystery Writers of America Edgar Award for Best Play. It is a show about lies, deception and murder, a perfect companion piece for The Liars’ Game, minus the murder. Adding to the evening, the theme of this game’s stories will be “Deception.” The game will start at 6:30pm with the doors opening at 6pm. Admission is $5 at the door only. The Vortex is located at 2900 Carlisle NE. For more information, call (505) 247-8600 or email info@theliarsgame.com. Three storytellers will spin tales about deception. Telling these stories are Barry Simon, the producer of The Liars’ Game, actor and storyteller George Williams, and nationally acclaimed storyteller and author, Loren Neimi. But one of these tellers is a liar and the audience has to figure out who it is. They can ask questions and then vote. Finally, the liar is revealed. Sleuth is the ultimate game of cat-and-mouse played out in a cozy English country house owned by celebrated mystery writer, Andrew Wyke. Invited guest Milo Tindle, a young rival who shares not only Wyke's love of the game but also his wife, has come to lay claim. Revenge is devised and murders plotted as the two plan the ultimate whodunnit. The Liars’ Game is a monthly interactive game show played on the second Monday of each month at Empire Board Game Library, 3503 Central NE in Nob Hill. 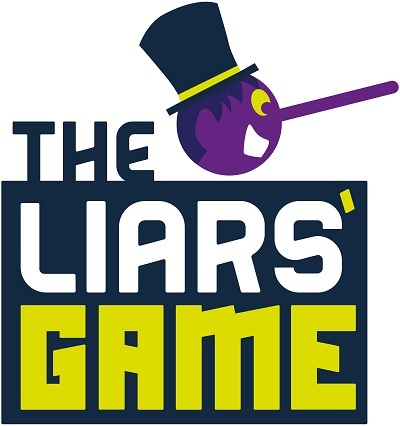 For more information about The Liars’ Game, call (505) 227-7378 or email info@theliarsgame.com.